Our signature and absolutely most booked massage. With the Body-Intake perfectly geared towards your needs and wishes. Can be booked at any level and any length of time. You can mix different feelgood options from our menu on request. Hot mud and Stone treatment is the high DF standard and included in every massage. DF TIP: Speak up! Tell your therapist what you want. For deeper tissue and injury related work we recommend Top or Master! Great Swedish stress reliever to get rid of muscle tension, improve circulation and lymph flow. A light to medium pressure in long muscle stretching strokes. Great mood improver and sleep enhancer. Can add in a little deeper work at problem areas at your request at Top and Master level. DF TIP: For the Big Chill effect book 90 or 120 minutes at night and sleep like a baby! Another DF Favorite where we spoil your tootsies to the max with a mix of reflexology and traditional Swedish massage techniques. A wonderful firm foot and lower leg massage that includes our signature ‘Happy Feet’ peppermint foot creme and foot scrub. DF TIP: 30 minutes is great or add it into the DF-Custom! A regular relaxing deep tissue massage where pain points are addressed that refer pain into other areas of the body. Can greatly alleviate long term injuries and undo old pain patterns. Great mixed with techniques like cross-fiber friction to get rid of old muscular scar tissue. Can be booked for 30 minutes working a specific area or mixed into a longer full body massage as you wish. DF TIP: If you want that extra hit-that-one-specific-spot, this is the treatment for you! Mix it into any Massage. A DF specialty on our famous USA Pre-natal table where there is a snug and supported place for your belly, while being spoiled face-down. In technique and oils perfectly geared towards soothing mother and baby. Warm towels are used instead of the usual Hot Mud & Stone treatment to avoid overheating. We recommend 45 minutes, all pre-natal booked over 75 minutes will be done in side-lying position. Attention: From 12 weeks till due date. A great way to introduce massage to your children ages 6 and up. A relaxing gentle pressure massage geared towards youngsters. Great for Cito stress and the over active type. Parents must stay in the room during the massage up to 12 years or book a DUO massage in one room. Only available at the Czaar Peterstraat location upon request. 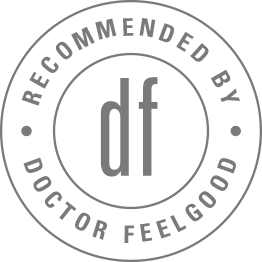 DF TIP: 30 minutes PRO Therapist is usually sufficient and perfect! Myofascia surrounds every muscle fiber, muscle group and organ in your body. It is the connective tissue that literally connects everything. It is like a onesie that you wear. Trauma and injuries and bad posture can tighten your onesie and start restricting your movement and cause severe pain patterns. Freeing and stretching this tight suit will give more flexibility, range of motion and improve your posture. Deep techniques together with passive and active movement is done with little or no oil. Intense and relaxing on a whole new level. DF TIP: Any length possible, call and book this treatment to get specialized therapist! Wonderful nurturing post-natal treatment that every new mommy deserves. Relaxing that aching body from pregnancy, birth and sitting in hard breast-feeding positions. Belly massage at your request to help the uterus reposition. Just a great, very needed first moment of you-time! DF TIP: Great gift! Delivering babies is hard work! Do it right, book 120 minutes! An effective treatment for the hard working computer users, musicians or anybody who has pain caused by repetitive strain. In this massage treatment we address back, neck, shoulders, arms, hands and head with deep tissue and trigger point techniques combined with anything else you need. DF TIP: Book a 30 or 45 minute lunch pick-me-up appointment to break your long work-day! A massage of your choice with transdermal magnesium therapy oil that reduces muscle spasms, joint pains, is known to improve your sleep, alleviate depression and migraine headaches. Many reasons to get a Magnesium massage on a regular basis. Did you know that magnesium is absorbed better through the skin than taking a pill? A true miracle worker! Everyone should have one once a month! DF TIP: A must after strenuous work-outs to reduce cramping and muscle soreness. Can also be helpful for restless leg syndrome and insomnia! Great cleansing and detoxifying full body-scrub. The mineral salts will remove all impurities of the skin. After a relaxing shower you enjoy a customized massage with pure jojoba oil. This treatment will leave your skin with a healthy glow and soft as a baby. 90/120 minutes only. DF TIP: Great to book a week before your holiday, for a longer lasting tan. Either getting you and your muscles ready for optimal physical performance or reduce recovery time and getting you back in shape after a good work-out. For athletes of any age and kind sports massage promotes flexibility, reduces fatigue, improves endurance and helps prevent injuries. A great addition to your personal training regimen. DF TIP: 30 minutes just legs after a good run or a 90 minute end of season overhaul. A PH-balancing massage using warm pouches with 49 alkalizing herbs using salts and stimulating warming ginger-citrus oil. Helps rid your system of excess acids and toxins. Perfect in combination with drinking our alkaline herbal tea, dry brushing and using our PH-Balance products at home. DF TIP: Great treatment in addition to your home cleanse or detox. Fantastic cleansing back treatment, that place that you can never reach! A soft PH-cosmetics scrub followed by a good pure Jojoba back massage, heat therapy and neck and foot massage! Great quick treatment that will leave you feeling clean and energized! DF TIP: Great to get ready for wearing that strapless dress! A tension relieving massage treatment with main focus on the upper back, neck, head and face. Holding and trigger point techniques to reduce tension. Great maintenance and prevention method. Great mixed with Cranial-Bliss or mixed into longer treatments. DF TIP: 30 minutes and up, great help when you feel a migraine coming on or expect one. A lesson for new mommies and their babies. Your baby enjoys a massage from you while a female therapist shows and teaches you how. Given while your little one is on a warm water pillow, so mini-you will rock on the waves of water like in utero! They love it until they are to active and want to crawl away! DF TIP: 60 minutes max. A wondrous facial massage using Swedish and shiatsu pressure point techniques to reduce muscle tension and so reducing wrinkles. A good amount of the wrinkle pattern in our face is caused by overuse of facial muscles. Done with PH-Cosmetics face cream and PH Face mask at your request! 30 minute treatment. DF TIP: Ask for our PH-cosmetics products in the store. An innovative soothing massage while lying face-up on a hot water pillow. Technique of hands moving under the weight of your body gives this massage just the right deep pressure for getting into you back/neck and shoulders. The rocking movements relax body and soul. Dry brushing massage that will boost your immune system and improve circulation. A great way of losing toxins, alkalizing the system, reducing cellulite and edema. In this treatment we teach you how to dry-brush the entire body in the shape of a full body brush massage. One of the best things for your health that you will ever learn! DF TIP: Book it early in the day! You will go-go-go! 30 or 45 minutes. The longer you book, the longer your after brushing massage will be! A massage using effective to-the-point techniques to address the deeper layers of muscle and connective tissue. Increases circulation and range of motion. To address and fix your pain points while nurturing the soul. Will leave you feeling new and improved! Can only be booked at Top and Master level. DF TIP: Good for long term pain issues and old injuries, communicate with therapist about pressure, does not need to be painful!